Afghanistan’s daring insurgents are waging war while planning for power. 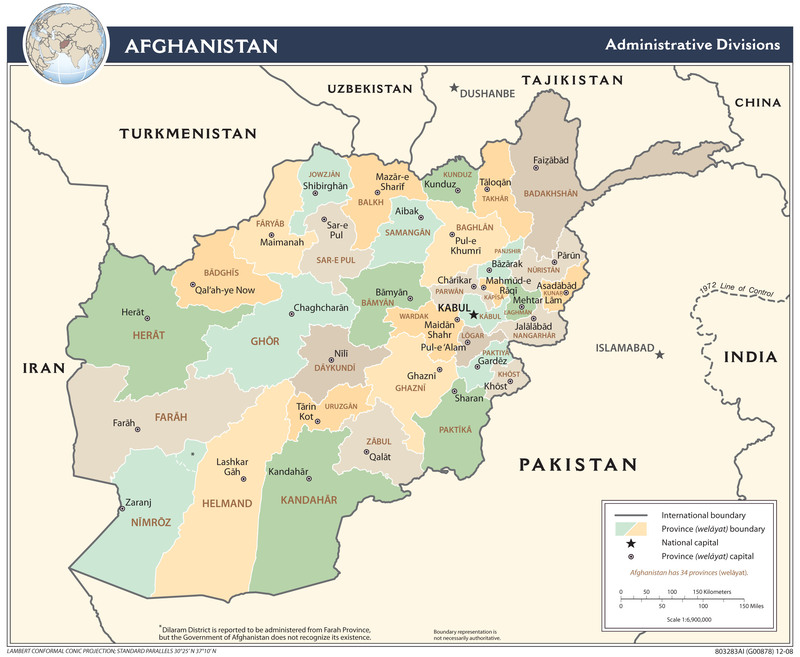 15 November 2018 (openDemocracy)* — The current war in Afghanistan has just entered its nineteenth year. Almost two decades after the United States-led invasion overthrew the Taliban regime in Kabul and dispersed Osama bin Laden’s al-Qaida network from mountainous Tora Bora in the country’s south-east, a reconfigured Taliban is once more driving the conflict. In the first week of November alone, Taliban paramilitaries seized four Afghan government facilities. One such assault was launched against a well equipped military base in the western Farah province built to ensure the security of main roads and of the area around the border with Iran. Yet of the fifty-three police on the base, twenty were killed and thirty captured, while three managed to escape. Such operations continue, with the interior ministry in Kabul conceding on 15 November the deaths of at least thirty more police in a separate attack in Farah. What makes these forays even more worrying for the Kabul authorities is that they are part of a broader Taliban campaign which is continuing to take a huge toll on the Afghan security forces. In this respect two further recent incidents, days before those of early November, stand out. The first is the assasination of General Abdul Raziq, the police chief of Kandahar province. He had been regarded as Afghanistan’s most effective security combatant against the Taliban, and because of this had a particularly high level of protection. Even so, a teenage Afghan supporter of the Taliban was able to infiltrate the general’s security detail as a bodyguard. Just after a meeting on 18 October with the commander of Nato troops in Afghanistan, US General Austin S Miller, he opened fire on Raziq and other police and military personnel. Also killed by the young Taliban agent was General Abdul Momin, the provincial intelligence chief, while three US soldiers were wounded. US and Afghan troops also exchanged fire in the immediate chaotic aftermath. But it was General Raziq’s profile and resilience – he had survived many previous attempts on his life – that drew most of the international media attention. The second incident climaxed on Sunday 11 November, just as people in many parts of the world were commemorating the centenary of the 1918 armistice. The site was Jaghori district in central Afghanistan, long regarded as among the safest places in the country – and something of a haven for the Hazara Shi’aminority – despite being near encircledby the many parts of Ghazni province controlled by the Taliban. Jaghori’s religious profile always held fears of a Taliban onslaught, which in turn meant the government wanted to show itself capable of resisting any such attempt. The long-awaited process unfolded from 7 November, when the Afghan army responded to Taliban incursions by airlifting fifty members of a special-forces unit, US-trained and equipped. Instead of repelling the Taliban’s fire, the commandos found themselves underheavy attack and suffered considerable losses; most of the special-forces personnel were killed. While the Taliban have not taken control of the whole district, the group has spectacularly followed up the killing of General Raziq and its other effective raids. The total government losses so far in Jaghori are not yet definite, but these appear to be close to a hundred killed and scores wounded. Afghan government controlling fewer districts, says SIGAR“, Jane’s Defence Weekly, 31 October 2018). That said, the Kabul authorities’ reluctance to release overall casualty figures makes it difficult to identify the costs to Afghan security forces. But the document gives a clue in pointing to a reduction of close to 10,000 in the strength of the combined Afghan National Defense and Security Forces (ANDSF) over the past year, leaving them 10% (about 40,000) below their target strength of 352,000. Somewhat unusually, the US defense secretary James Mattis had said on 30 October that the ANDSF had seen over a thousand personnel killed or injured in September and October alone. The Taliban’s strikes in Kandahar and Jaghori confirm the overall picture of a Taliban movement on the rise and a retreat of government control. In addition, the Taliban is also involved in Russia-sponsored talks to end the conflict: a two-track approach – displaying military strength in part to increase leverage at the negotiating table – that echoes Washington’s own under Barack Obama. This Afghan war is almost within sight of its third decade. It has already lasted almost five times longer than that of 1914-18. Just as a century ago, powerful western leaders’ dreams of a quick victory have fallen into the mire of a bloody conflict’s endless attrition whose costs – physical, mental, political, strategic – are on an epic scale. There is no immediate end in prospect. But when it does come, the Taliban is on course to have a substantial role in Afghanistan’s future. Paul Rogers is professor in the department of peace studies at Bradford University, northern England. He is openDemocracy’s international security adviser, and has been writing a weekly column on global security since 28 September 2001; he also writes a monthly briefing for the Oxford Research Group. *Paul Rogers’s article was published in openDemocracy. Go to ORIGINAL.